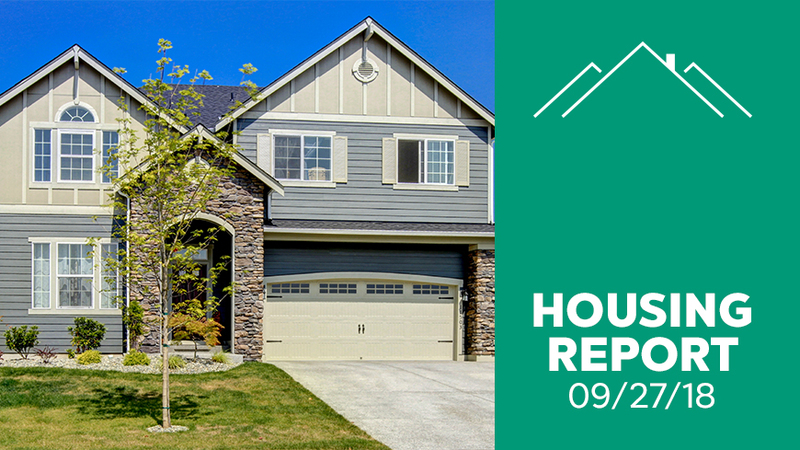 Pending home sales dropped nearly 2% in August marking the eighth month in a row of declining pending home sales, according to the National Association of Realtors. Pending home sales are the leading indicator of housing market health, as properties marked pending have met all contingencies and are just waiting to close. A decline in pending home sales shows fewer homes selling in the months to come. With the August decline, contract signings are now 2.3% below last year, according to the report. Inventory was up a scant 0.2% to 4.3 months of available homes for sale in August, according to NAR. Yet, the median price of a home increased 4.6% to $264,800. Affordability is a concern, especially with the recent interest rate increase. The Federal Reserve announced its third interest rate hike this year and many expect another in December. Mortgage interest rates have already been rising for the last five weeks. The Fed announcement will ensure more of the same. On average, a 30-year-fixed-rate mortgage cost homebuyers 4.72% for the week ending September 27th. Buyers hadn’t seen mortgage interest rates that high since April 28, 2011, according to Fannie Mae. So far, consumers are still confident and feel now is a good time to sell. In a recent study from NAR, 77% of Americans said now is a good time to sell while buyer confidence declines. Older, wealthier, Americans are more likely to be optimistic about the housing market. “Though the vast majority of consumers believe home prices will continue to increase or hold steady, they understand the days of easy, fast gains could be coming to an end,” said Yun.